Nishikoi Growth Pellets is a premium floating food suitable for all pond fish. During warmer weather, pond fish are naturally more active and their metabolism is high. Feeding them the right food ensures they are kept in top condition. 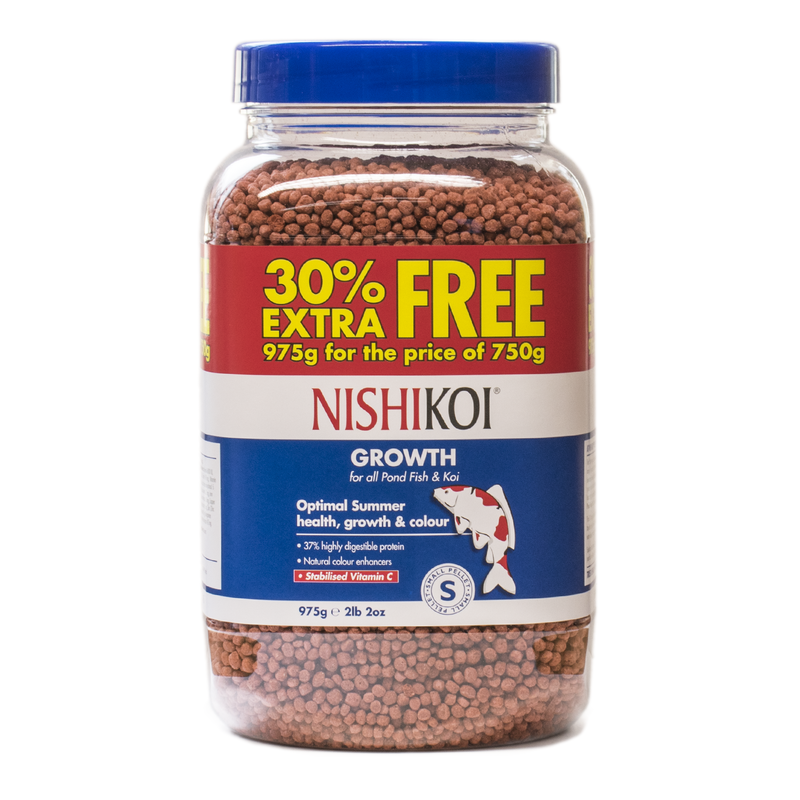 The pellet food has 37% highly digestible protein, enabling the fish to utilise it effectively and helps to stimulate excellent growth. The Growth boasts a specialised formulation of Spirulina, Astaxanthin and Canthazanthin along with stabilised Vitamin C. This balanced formula gives your fish the best diet through the summer months. The high quality ingredients and enzymatic protein content aid digestion and assimilation to avoid wastage that goes undetected. This helps to keep your water clear.